With the built-in quality MP3 decoding chip, you can enjoy MP3 format music stored in the mini memory card, and wireless music enjoyment is much more wonderful. The built-in FM stereo radio can store 20 channels program enriching your enjoyment. Slot for MicroSD/TF card to listen to MP3 Music. 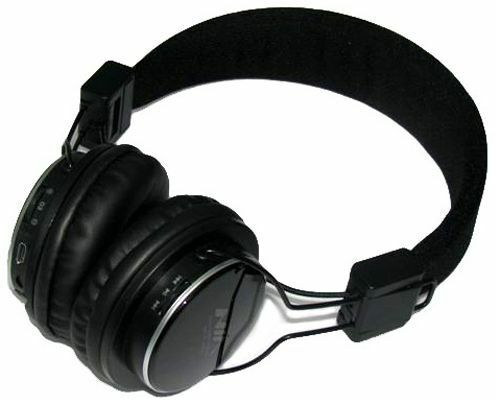 Enjoy music in this head phone with your other digital devices by using accessories. FM stereo radio Headhpones and Collapsible. Instant music Sharing with another headphone by 3.5 mm standard cable. Compatible with any music players using 3.5mm standard. Up to 12 hours of playing time. Standard charging time about 2 hours.